I don't think we would see them until 2020 because of limited 7nm TSMC capacity, who would be building these chips. I have this feeling that they could be a little underwhelming performance wise unless Navi is a big return to form for AMD's graphics division. I am sure they will get a huge CPU upgrade from the current machines, but ultimately unless AMD have done some wizardry with Navi they will be lucky to have anything more than twice the GPU performance of Xbox One X. Like Vega 64 performance or so. Maybe 16GB of memory, GDDR6 is still expensive. More would be nice but price will likely dictate again how much they can fit. All of this wouldn't really translate to a big jump on screen because they will (of course) be targeting native 4K. Games could just end up looking like slightly nicer Xbox One X titles. Even with Xbox One X a fair number of games still don't hit native 4K. Recently Resi 2 remake for example is just 2880 x 1620. By the time you have taken games like that up to native 4K you have frittered away a lot of the extra performance as it is. 4K is just such a big impact on graphics resources. 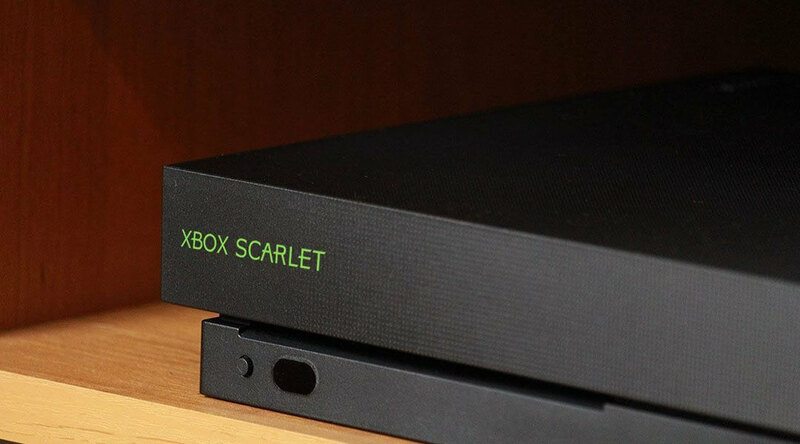 It is worth mentioning that the Xbox One X is restricted by the Xbox one: the mid-gen syndrome. This news doesn't hype me up at all, they could push the ps4 and xbone to 2022 with no real issues because at this point shinier graphics are coming at a huge cost and I dont mean dollars. This gen of gaming has been marked by ways to push top level graphics and recoup that money, and we end up with endless dlc's, microtransactions, day one packages and chopped down games because of it. so I'd rather keep what we have now before a "next" gen brings even more devious trickery to the tables. right now the gaming industry should try and settle itself before pushing harder, maybe try to focus on something for a change, even now these consoles are still wonky and sites are talking like 4k and beyond are attainable, it isnt, cause gamers are window shoppers and afraid to drop big cash. its why we have the pro and one x being gimped by their first releases, gamers whined about price so they released the originals, then they whined about performance so they released the upgrades which showed how dense the masses are because they ended burning hundreds anyway in the end, and do graphics even matter that much anyway? the switch's existence and insane popularity prove chasing graphics may be the wrong battle. imo whatever comes next should just focus on TRUE 4k60fps and thats it, no weirdness and chasing dreams like 8k and whatever gimmick follows vr next, just make a pure games machine again. Restricted how? Xbox One X is giving everything it has got, since most games aren't targeted at Xbox One hardware anyway. They were targeted at PS4 hardware as the lead platform. We also see a significant disparity between PS4 Pro and Xbox One X in most multi platform games. That's evidence enough there isn't some huge 'holding back' of the platform. The point here is that Developers are forbidden from releasing a game that wouldn't run on the base HW; this limits what they can functionally do with the X/Pro aside from resolution/fps bumping. Let's face it: This console generation was weak when compared to PCs, and the consoles were totally unprepared for 4k due to having very weak CPUs. Also keep in mind, it's unlikely these chips will be made on 7nm; 10/12nm is more likely for maturity reasons, especially if dev kits are already out there. What do you think they can release on Xbox One X that won't run on an Xbox One or PS4 at lower resolutions and settings? It isn't like Xbox One X has a massively more capable CPU or revolutionary memory design that can't be scaled down. It's a half generation step not a generational leap, pointed out earlier in the discussion. Modern game engines scale enormously these days that is the primary focus of their engineering. Flexibility. Most engines are so good at it they can survive a full generation leap within reason. Go look at Rise of the Tomb Raider port on X360! It's mighty impressive. It's not like you would see some sort of huge leap in game performance if you designed a game solely from the ground up for Xbox One X. Marginal improvement perhaps, but the restraints of having most games being cross platform will always exist. Be it this generation AND next generation, so that line of reasoning is moot. Long story short: exclusives will obviously look best, there is no great restriction, Xbox One X hardware isn't massively underutilized as comparisons with PS4 Pro exist. SantistaUSA, Digitalzone and Reehahs like this. I think its in everyone's benefit to hold back the consoles for another year or more till there is more of a leap in graphics architecture. CPU wise Ryzen is a huge improvement. But if they want an affordable price then the next consoles aren't going to be much faster than the xbox one x. Since the cost is way to high to add anything better. Unless Navi is 2080 ti levels of performance for around $200 (extremely doubtful) than the next leap is going to be even less than the previous leap. And that was close to a decade. This article makes no sense. 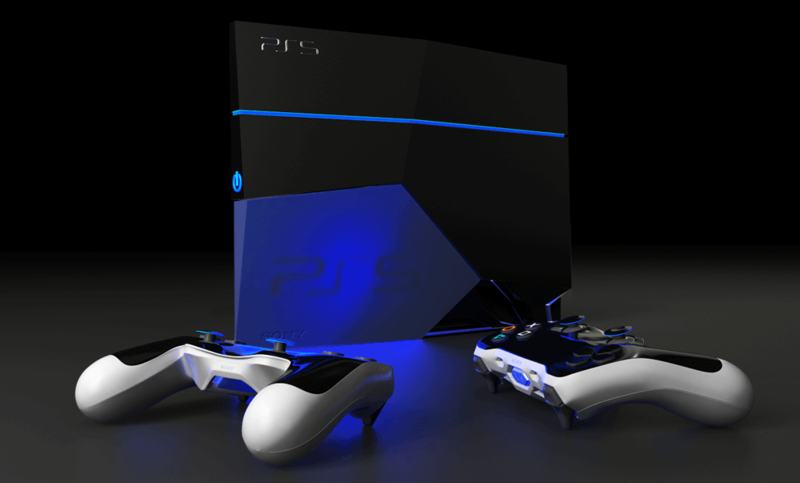 Sony is skipping E3 to reveal PS5 on their own event at the end of the year, with PS5 launching March 2020 or Summer 2020 at worst. According to RutterCookie on reddit, the guy who leaks every sony related info and said sony wouldn´t be in E3 way before it was public, Sony and AMD have a deal that makes Navi temporarly "exclusive" (aka €€€€) for Sony. Because Sony wants to bring something that isn´t available, for the hype. Why do you think no one mentioned Navi on CEs 2019? Exactly because of this. A new console refresh would be dumb. Having 3 PS4s on the market is not logical. This article makes 0 sense to me. That's really wrong statement. Consider PC games - compare minimum specs with recommended specs, add some high tech PCs setup and the outputs. It's all about graphical settings and optimization. Nothing is holding back anything. Furthermore, X1X is not so super-powered, isn't it like GTX 1060? Probably a little faster than it. But when a developer can optimize it for certain hardware they can get more out of a console than a pc. A pc has windows and apps running at all times so resources are eaten up there. That is why there is games running at 4k or close to with decent graphics settings on the x1x. Compared to a pc where you need significantly better hardware to get the same thing.